A holistic, process-oriented approach to musical education. Music is an important component of the enriched curriculum at TCPS. Students in the Pre-School Montessori program are introduced to the Orff Music program and it continues in our Elementary program. Students in grades 1 to 3 receive formal Music lessons, learn to read Music and play the recorder. 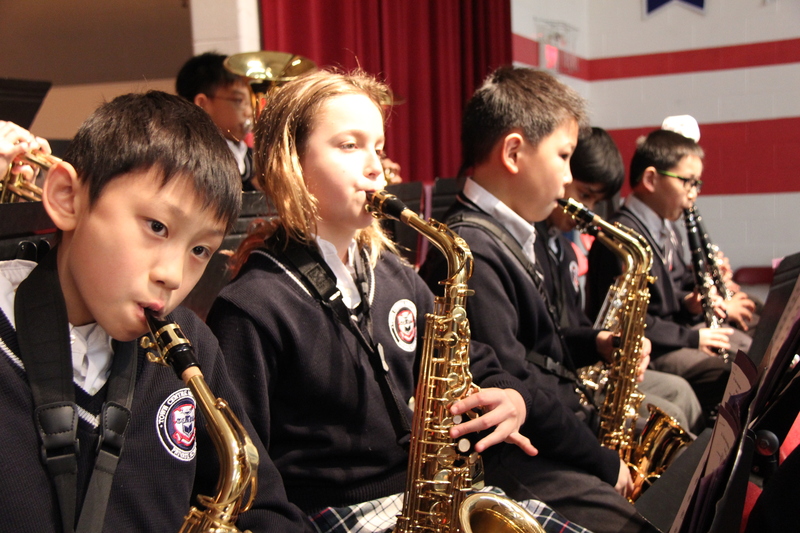 At the grade 4 level, students are introduced to the instrumental band program. Band classes emphasize proper instrument techniques and correct musical terminology. Students have the option of either renting or purchasing a musical instrument. 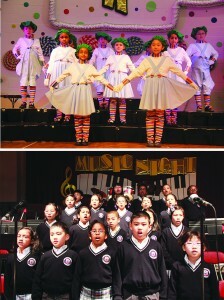 The students frequently perform for fellow students and parents, as well as participate in Music competitions outside the school. The Toronto Kiwanis organization was founded in 1917 and each spring the TCPS stage band participates in the Kiwanis Music Festival. Our band is comprised of some of our best music students from grades 5 through 12. 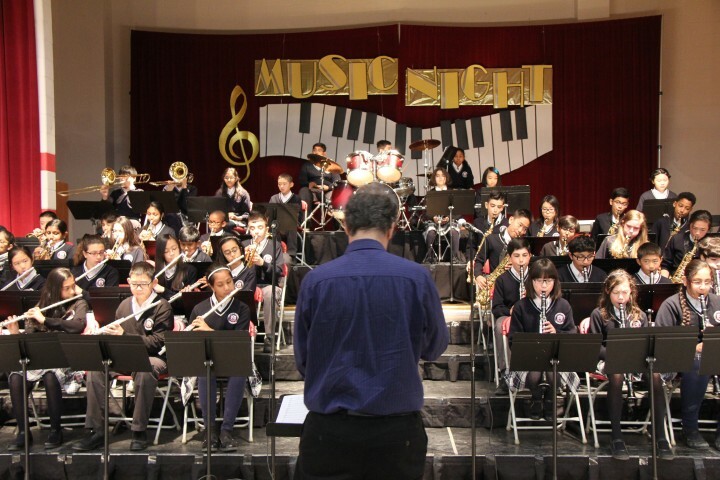 Schools from all parts of the GTA come to compete in this renowned festival. By performing for judges, this is an excellent opportunity for the band students to demonstrate their ability and dedication. Each December the TCPS grade 1 classes, teachers and Music teachers plan a wonderful seasonal celebration. Each class performs a number of songs with students acting as master of ceremonies to the delight of the parents, families and students. The Christmas Concert is always a great way to kick off the Christmas season. As students move into grades 2 and 3 they participate in the annual Spring Concert. 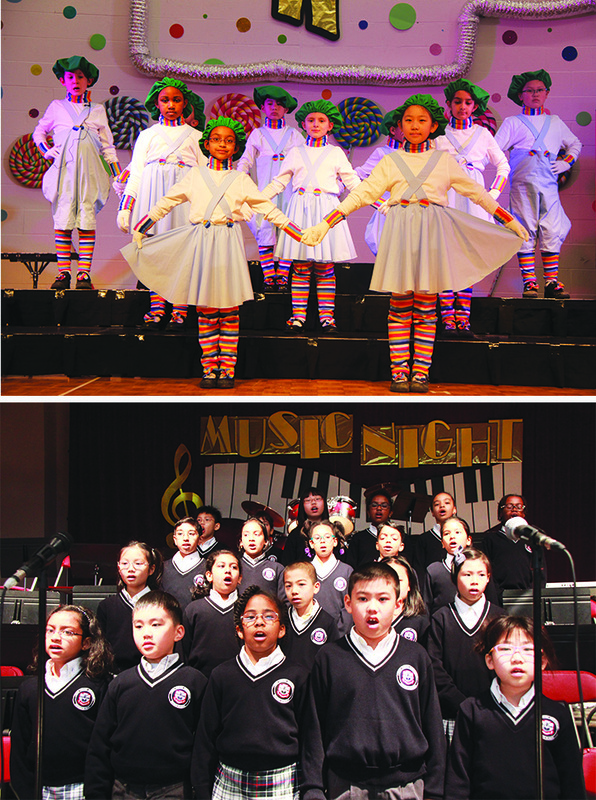 Students sing songs, dance and perform plays with each year’s concert having a different theme. It’s a great evening of entertainment for all. At the end of May all the band and choir students, who have been working hard all year, have a special evening to demonstrate their musical talents. Held over two afternoons, students from grades 4 to 8 participate in the annual Music Nights.